Hopefully, your first day of the New Year feels better than it does for the Yellow Kid! 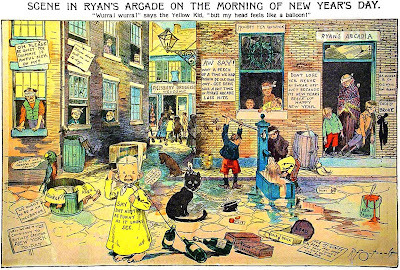 Interestingly, this cartoon actually ran on December 26, 1897. Art courtesy of San Francisco Academy of Comic Art Collection, The Ohio State Univeristy Cartoon Research Library. Here's to hoping your 2011 looks better than your 2010!